and it will choose you in return. I so understand… I don’t suffer from depression but almost 3 months ago something happened to me that has caused me to actively make sure I look at all the good things of that relationship. It has been hard at times… I’ll never lose hope. Great capture! I love this moment. Thank you…Ill pass that on to Wolf…it was a happy seagull! 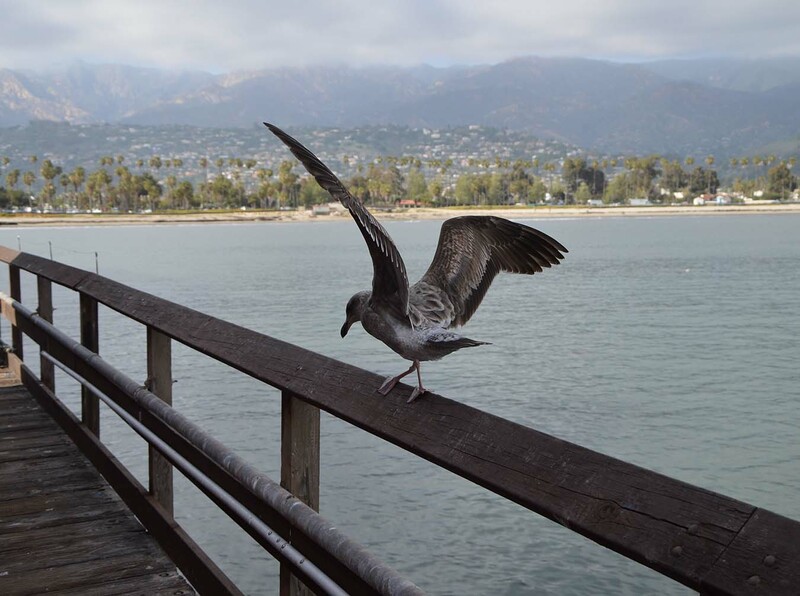 Looks like Santa Barbara from Stearns Wharf. Beautiful shot of a great place. And the sentiment you express is a good match for the photo.